For over four decades, the home improvement pros at 31-W Insulation have provided Middletown, Ohio, homeowners with reliable garage door installation service. Over the years, we’ve earned a reputation as the area’s premier company for quality home upgrades. Our long-held commitment to providing customers with top-notch products, professional installation, and friendly customer care remains the cornerstone of our company, and our garage door installers are among the most skilled in the industry. 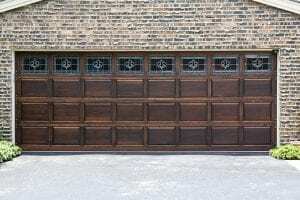 When it comes to quality garage doors, we highly recommend those made by Amarr® as they are among the most beautiful and well-made products on the market. Expertly crafted from durable materials like heavy-duty steel and hardwearing aluminum, these garage doors have been rigorously tested to withstand high wind pressures and forced entry attempts and have passed with flying colors, so you can have confidence that your home is protected from anything the outside world can throw at it. And, with safety features like pinch protection, you won’t have to worry about sustaining hand and finger injuries while operating your garage door. No matter which style of garage door you decide to go with, you can rest assured that our highly experienced garage door installers will complete the installation flawlessly and will leave behind a spotless work area when they are finished. Furthermore, your new garage door will be protected by a one-year labor warranty as well as the complete manufacturer’s warranty. If you live in the Middletown area and would like to learn more about partnering with our garage door installers to have a new door installed at your home, contact 31-W Insulation today. We would love the chance to work with you.